This was the other make-and-take that my Launch Party attendees were able to make at my Open House. They had a choice between the blue and white daisy paper and the multi-coloured one. Can you guess which one was more popular? I think I like them all! 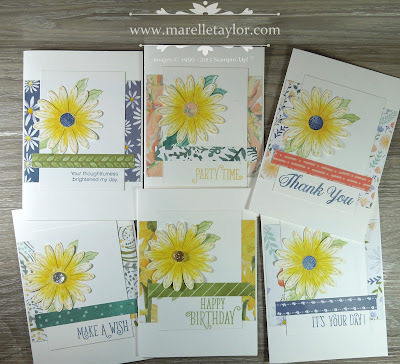 The sentiments are from the Happy Birthday Gorgeous stamp set.